Do you ever have those moments when you just need a warm chocolate chip cookie, but don't feel like making several dozen? I know I do, which is why I am happy to have found this 2-minute cookie recipe from Epicurious. Thanks to the magic of the microwave, this cookie can be whipped up in record time, keeping craving demons at bay. It can also be made vegan if you so choose, which is great news, because everyone deserves access to emergency cookies. Click the link below for all of the tasty details, but it's really just a matter of melting some butter (vegan or reg) in the microwave, then stirring in flour, brown sugar, vanilla, nuts, and (of course) chocolate chips. The little pile of deliciousness is then placed on a plate, and microwaved for another minute and a half. 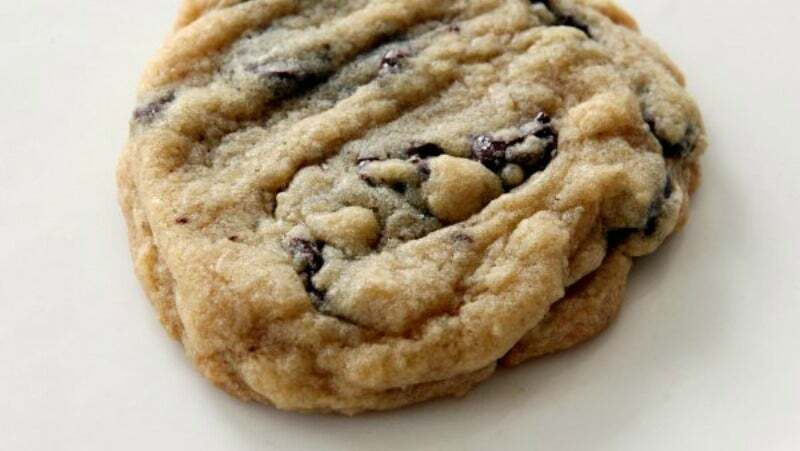 You then have a hot and fresh cookie to comfort your soul and bolster your spirits. There's also brownie in a mug! There's two reviews on that recipe so far, and neither of them are good.